The capital of California - Sacramento is located in the northern U.S. state. Location, climate and quality of life are just some of the things that make Sacramento a great place to live, work and rest. Typical of any American city, is peaceful coexistence of different races, nations and cultures. Sacramento is no exception. Recently it was even announced by prestigious media as one of the most tolerant places to successfully integrate their differences. There is a large Chinese community, which adds color to the California city. Sacramento became the capital of California in 1879, previously capital of the state was San Jose. The Capitol of California, located in Sacramento, is one of the biggest attractions in the American city. The architecture of the Capitol is standard, much like that of other buildings in other state capitals. However, it astonishes with its grand design, interior and exterior. The building was built in 1874. The building of Sacramento City Hall also impresses guests of the city. One of the architectural masterpieces of California's capital is the Cathedral of the Blessed Sacrament, located in the city center. The Roman Catholic Church is considered one of the emblems of Sacramento. It is the largest church west of the Mississippi. In Sacramento there are two areas that are considered among the most popular historic attractions. This is Sutter's Fort State Historic Park, which is the State of California’s Indian Museum and the old part of town is popular too. Old Sacramento State Historic Park, has preserved many buildings, built in the western American style. Interesting place to visit in Sacramento is the permanent exhibition of the California State Railway Museum. There, guests can get acquainted with the history of iron and its reflection on the development of the United States. In the museum are old locomotives and other similar equipment. Entrance to the museum is between $ 4 and $ 15. If you are visiting Sacramento in the summer months, you will have the unique opportunity to make a tour around the Sacramento River with steam locomotive. Around it you see Ziggurat. The building, which houses business offices, has an unusual pyramidal structure, resembling ancient monuments in Mesopotamia. In an unusual way it combines contemporary design and antique appearance. One of the most attractive places in Sacramento is the Convention Center Complex. The complex consists of many places of entertainment such as the Center Theatre, Reunion and Little Theater. There is also the Memorial Auditorium, on whose scene are performed many domestic activities - concerts, performances and more. Visitors cannot help but see the bridge "I" Street Bridge, located in the central part of town. Crocker Art Museum is another landmark in Sacramento. According to the locals, it is one of the oldest and most elegant museums in America. The Research Museum of Sacramento - Science and Space Center is also a busy place. In the complex children of all ages can participate in some interactive activities of the museum and learn many things through the innovative space planetarium. One of the most popular parks in Sacramento is the Raging Waters. This is the biggest amusement park in the vicinity of the California city. The complex has water slides, beaches, lakes, artificial waves, and great places to picnic and relax. Access charge is 20 to 30 dollars. Sacramento was founded in the late 18th century, where the American and Sacramento rivers merge. Therefore, one of the nicknames of the city is “river city”. Other definitions that Sacramento has earned over the years are "Sac" or "Sacto". Today Sacramento River offers good conditions for boating, jet skis or water skiing. Along the river another California city can be reached - San Francisco. 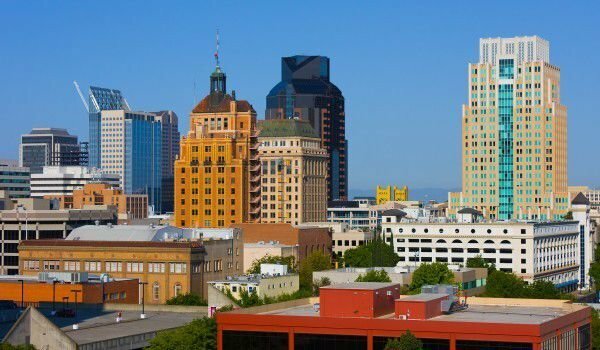 Sacramento's population - 467 000 people, puts the city in sixth place among the most crowded cities in California. 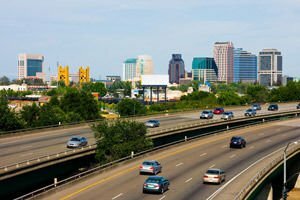 Residents of the Sacramento area reach nearly 3 million. In the name of the city - Sacramento, Christian commandments are intertwined, meaning religious sacrament.